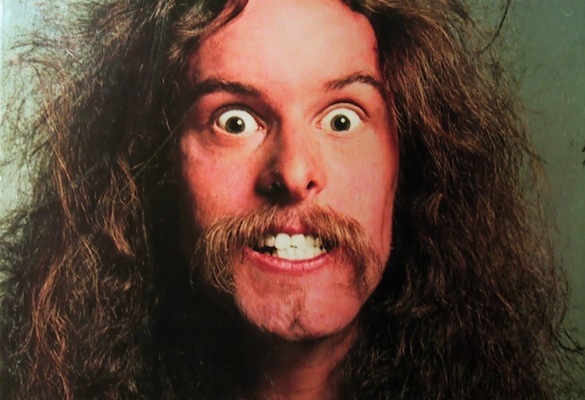 GUN NUT FEVER: As an arena-rocker in the 1970s, Ted Nugent was an undisputed badass. In 2014, more often than not, he comes across as a Neanderthal jackass. Of all the weapons at Ted Nugent’s disposal (his high-powered mouth, blazing guns and goofy redneck arrogance, etc. ), I wish he’d just shut the hell up and pull the trigger on that Byrdland guitar. The following was published in the San Antonio Express-News on Aug. 20, 1999. Like him or not, Ted is an over-the-top, all-American rock-n-roll icon. I just wish he’d lock down his overworked bear trap and let the music do the talking. JUST WHAT THE NRA ORDERED: Cooter makes another point. 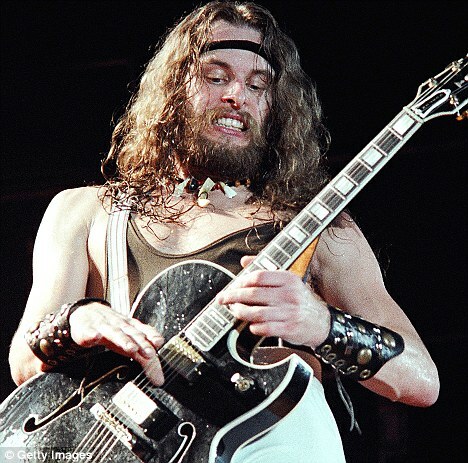 He’s known the world over as the “Motor City Madman,” “Terrible Ted” and even “Sweaty Teddy,” but to his publicist, the gonzo guitarist who penned “love” songs such as “Cat Scratch Fever” and “Wango Tango” is referred to as Mr. Nugent. 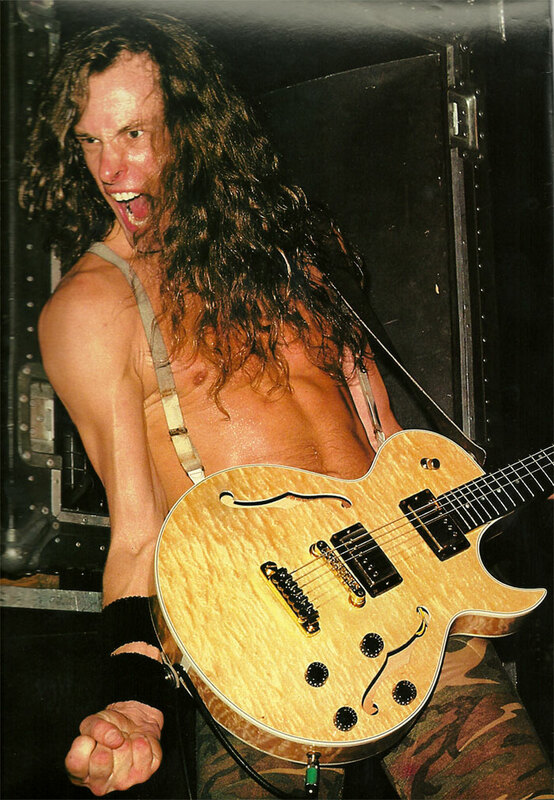 Talking is something else Nugent, who turns 51 in December, does at a high rate of speed. Like a campaigning politician, he is articulate, opinionated, confident and personable to the point of interjecting his interviewer’s first name whenever possible. A decade later, as a loincloth-wearing solo artist, he became notorious for his caveman-like stage persona and hyper-speed stage banter. 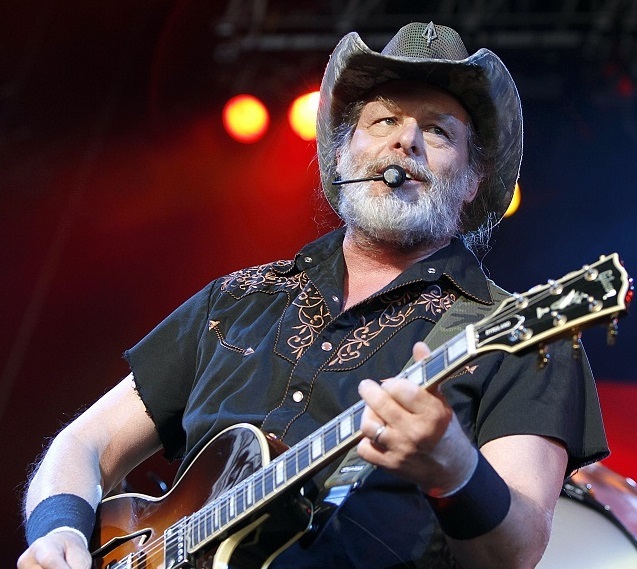 Albums like “Free For All,” “Cat Scratch Fever,” “Double Live Gonzo” (partially recorded in San Antonio) and “Weekend Warriors” earned Nugent the title of world’s top-grossing concert act in 1977-1979. Through it all, he staunchly opposed the drugs and alcohol that seem to go hand-in-hand with rock ‘n’ roll. Nugent’s calendar is divided equally between music and hunting. SHOOT TO GRILL: Nugent takes aim at dinner and leftovers. “I’ve never missed a hunting season since 1949 when I was 1 year-old and hanging on my dad’s back,” he said. Since then, he’s been honored by countless law-enforcement agencies and the National Rifle Association, where he serves on the Board of Directors. 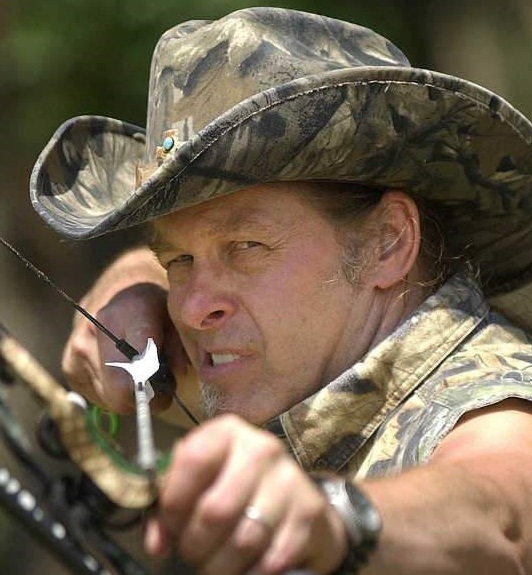 A bow hunter as well as rifleman who eats his kills, Nugent blames the media for the hysteria surrounding the gun debate. 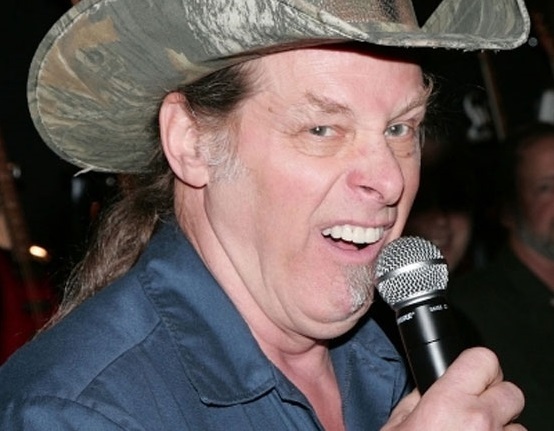 Ask him if musical acts such as Insane Clown Posse or Eminem influence the deadly actions of some of today’s youth, and Nugent goes on a tear. Back to the music, Nugent said he recently covered “Rag Doll” for an upcoming Aerosmith tribute album and expects to have new solo and Damn Yankees albums out early next year. In the meantime, he’s got his sights set on Texas. BELOW: One of my favorite Nugent hits. The audio/video synch is pretty horrible, but DAMN that rhythm guitarist MEANS it at the :39-second mark (and if you miss it, they repeat the exact same clip at 1:21). Rock, dude!